Actress Liza Soberano has been spreading good vibes since the holidays with her posts on her European tour. She traveled with her love-team partner Enrique Gil and their respective families. Liza's holiday festivities extended to her 20th birthday celebration on January 4, 2018. For that occasion, Enrique took to Instagram to greet her. One post reads, "To the woman that I call my forever, all I want is for you to be happy in all that you do." Another says, "Happy Birthday, my love." 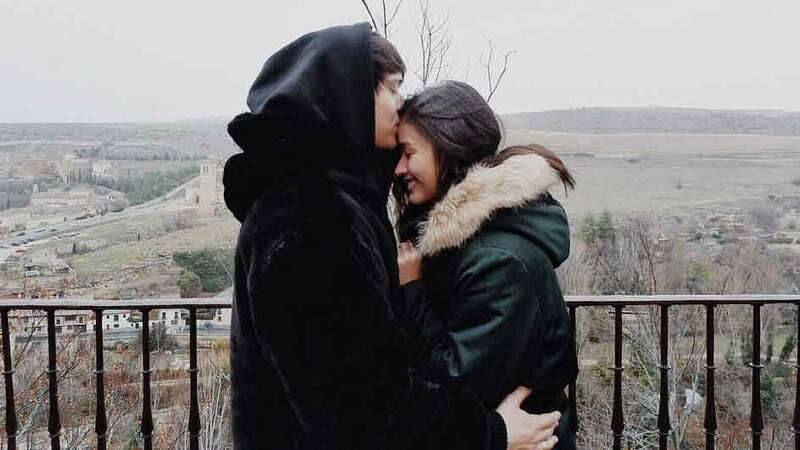 As if those weren't enough to make people kilig, on January 6, 2018, Liza sent LizQuen fans' hearts aflutter when she posted on her Instagram account a photo of Enrique kissing her on the forehead. She captioned it with her take on choosing happiness. The Darna actress wrote: "I've learned a lot over the course of our Euro trip. Cliché things like 'happiness is always a choice,' which is absolutely true. It's never about forcing yourself to be happy (especially if it's for the sake of others) but not letting sadness dominate. So one of my New Year's resolutions is to definitely choose happiness, because I deserve to be happy and so does everyone else."